March 7, we invited professional coach and leadership consultant Jim Reklis of Reklis Coaching and Consulting to share his recipe for the magic sauce for client experience. Since we are all customers ourselves, we know that great service and a positive experience is what keeps us coming back for more. That’s why it is so important for business owners and employees to figure out which customer service ingredients will that will satisfy their consumers’ taste buds. Making customers happy will increase employees’ job satisfaction and spark growth as well! 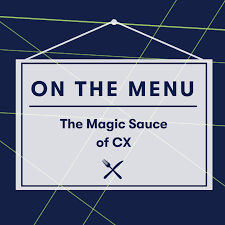 Since it costs 6-7 times more to acquire a new client than it does to keep an existing one, it is always the right move to invest in the best CX sauce! Treat everyone like first class. You want your customers to feel as if they are receiving the best of the best. Have empathy. Customers want to feel like you are on their side and to do that, you have to use emotional intelligence to understand their situation and steer them in the right direction. The customer may not always be right … but they are always the #1 priority. Remember that you are providing a service, and must provide that service to the best of your ability. Employers may handle the money, but it’s the customers who pay the salary. The standard is the competition. Comparisons are easy to make today, be it through reviews online, word of mouth, or by using websites like YouTube to make side-to-side brand comparisons. Competition raises the bar on customer expectations! Customer feedback is best heard through many ears. Did you know that for every customer complaint you hear, there are on average 26 other dissatisfied customers that don’t contact you directly? Keep your eyes peeled towards websites like Yelp, Google Reviews and Facebook for feedback. EVERYONE makes a difference. Even if your job description doesn’t say “customer service representative,” you still are your company’s brand ambassador. You never know when you will meet a current, potential, or new client, so always be ready! Jim emphasized that loyal customers are not made through happy accidents, but by detailed planning, seamless execution and willingness to receive to feedback. t takes a cognizant business owner who genuinely cares for their customers’ best interests to develop a successful customer experience. Thank you Jim for sharing your knowledge with us! Our next workshop is On The Menu: Practicing Effective Video for Business on April 1. If you’d like to attend our upcoming On The Menu workshops or see what else is going on in RTP, check out our events page!